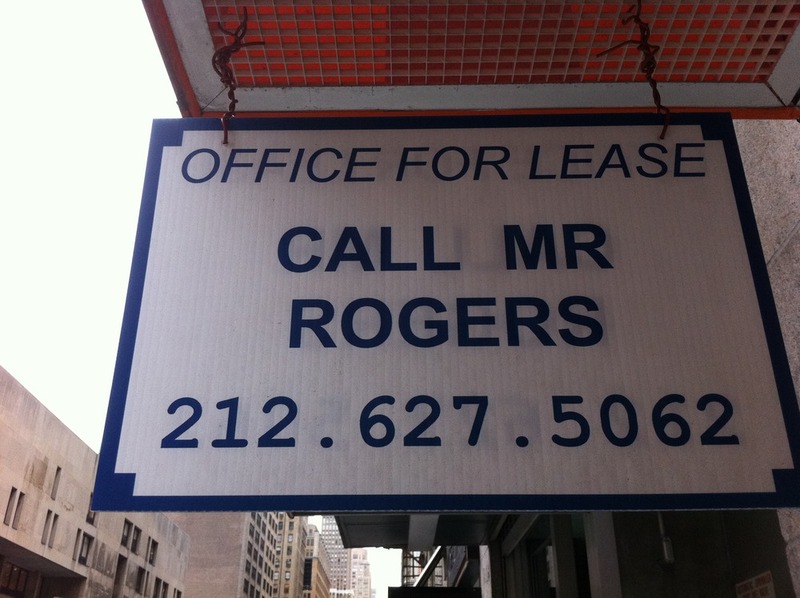 If you were just walking down the street, you might pass this one by. But as the many rave reviews on yelp clearly stated, this place was a classic. 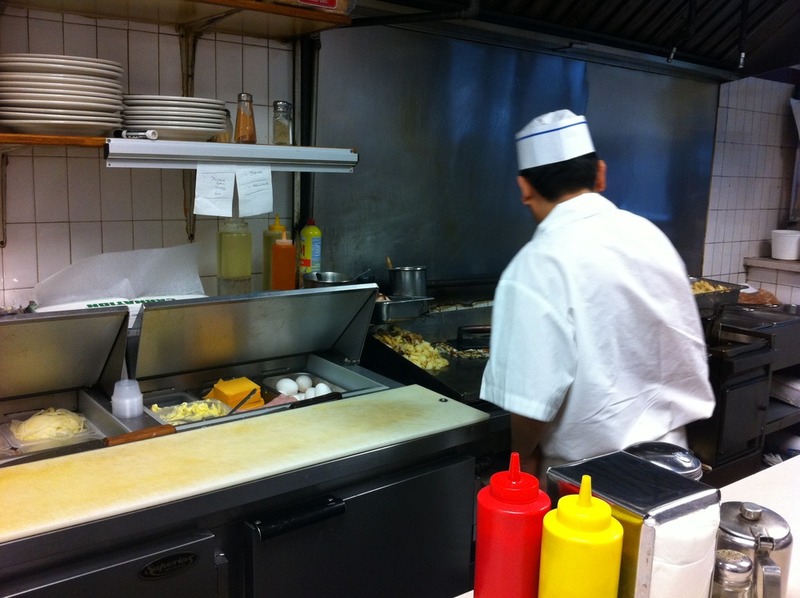 A tiny narrow restaurant with two very small tables in the way back and about 10 barstool seats at a long counter. I ordered the Salami Breakfast Plate. Thats right, Salami breakfast. I was trying to decide between that and an omelette, so I asked the guy running the place “Johny” (turns out he is Johny Jr.). He was friendly and gave great service, but sorta gruff-im-in-a-rush and all business at the same time. Kinda hard to explain, but its a very busy little restaurant with plenty of take out and delivery going on as well as folks sitting at the bar. 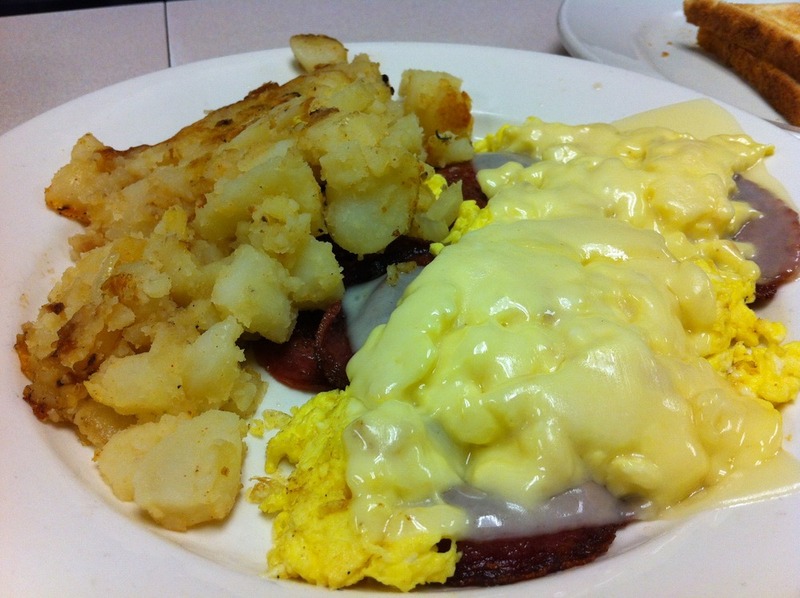 it had not one, not two but 6 pieces of Salami, covered in scrambled eggs, swiss cheese with potatoes. The Salami was grilled until it curled up, sorta like the classic pepperoni on a Buffalo style pizza. It was, in fact, delicious. Most folks getting take out were getting a simple breakfast sandwich. A nice looking hard roll, eggs and maybe a piece of cheese. Just a few bucks. Simple and tasty looking. Interestingly enough they make a point on the menu to let you know they are happy to just make any plate with egg white only. There were even a few “healthy” choices on the menu. A few times when someone ordered oatmeal, Johny senior would make an appearance. To my suprise, Johny Jr spoke pretty good Spanish. I was suprised because he and Johny Sr. didnt appear like the Spanish speaking type at all. If anything, I’d expect Johny Sr. to be saying something in old world Italian. 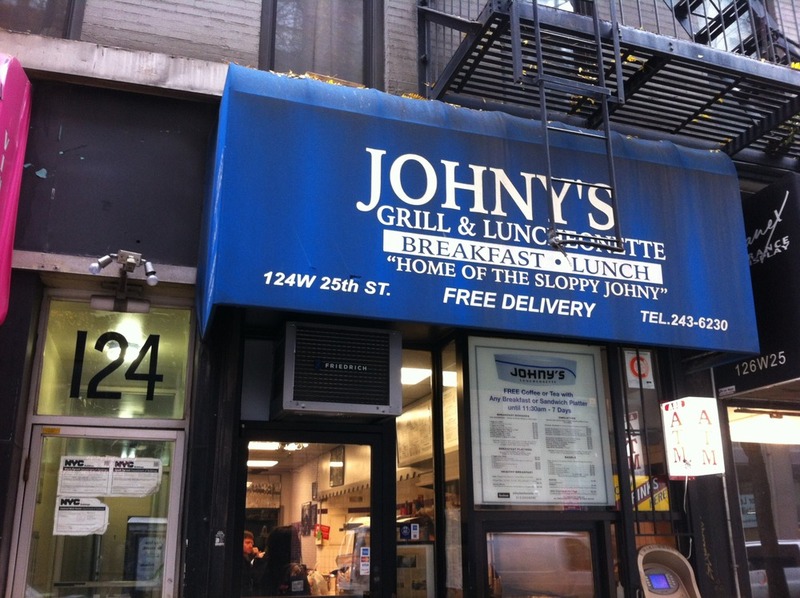 But Johny Jr spoke in a free form mix of very well executed Spanish mixed with a new york accent English when speaking to George behind the counter and especially with a new delivery guy that Johny Jr was training this morning. Johny Jr was a suprisingly helpful, patient and kind mentor to the new delivery / dishwasher guy. Word. Nothing beats salami (esp well-done) for breakfast.